The picture above is for my third Stenciled Sock Blank Club. This once a month sock blank club will include all of the sock blanks pictured. On the extreme left is “Sea Storm” to be shipped on May 4. The middle blank is “School’s Out” to be shipped on June 3 and the last on the right is “Shells” that will be sent on July 1. There are two club options to pick from. 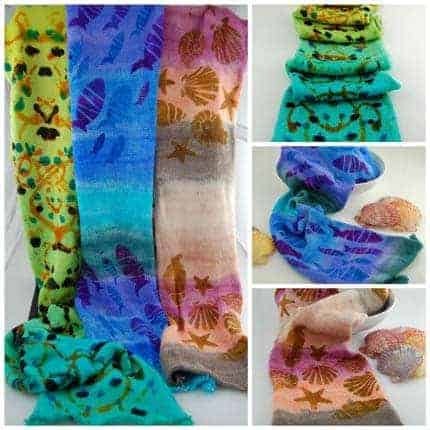 You can choose between single knit sock blanks for non matching sock or shawl knitting or double knit sock blanks for two at a time knitting and matching socks. Better hurry though because sign ups end on Monday April 18th!!! If you can’t join us for the club this time, please feel free to follow me on Instagram under “galesart” or on Ravelry under Gale’s Art.